Recently I shared the results of an interesting study. Don't waste your time fiddling with cosmetics. Test big things like your guarantee or adding customer testimonials. They forgot to test headlines. Now I can forgive them on this one. These tests focused on ecommerce stores, which usually have product names vs. real headlines. Is it even worth testing headlines in the first place? I'll go out on a limb here and say that the way many people test headlines, they're wasting their time. When I started working with John at Simple Programmer, his main lead magnet was an email course about how to start a programming blog. Most of the signups for this lead magnet came from a popup on his site. The blogging lead magnet converted at just under 1%. I got excited when I saw that, because I knew a decent popup can do 2-3X better. I figured I'd run a few A/B tests and score a quick win. I must've run a dozen different tests with different headlines, and no matter what I tried, I couldn't seem to move the needle on that turkey. 1. To “flag down” the people who are most likely to be interested in your offer. 2. To get them to read whatever comes next. The problem with most headline tests is that you're usually just expressing the same idea with slightly different words. If you're just shuffling words around and the core idea stays the same, that means the group of people that you're “flagging down” will stay pretty constant—and so will your results. Instead of testing headlines, I aim to test different “appeals” or benefits. In other words, test concepts, not phrasing. 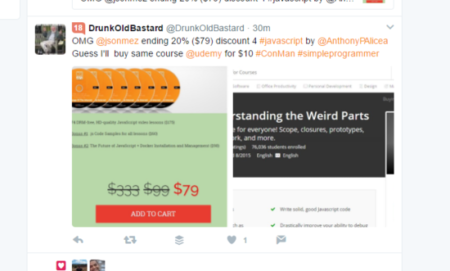 What is a radically different way of looking at my offer that might reach a broader segment of my audience? That's where you're likely to find those elusive 200-500% response bumps. Every month they pay you a nice fat fee. The work they want is so simple you can pretty much do it in your sleep. And the checks keep rolling in month after month, so you have a nice stable baseline of income. What's your approach to creating a retainer agreement out of a small or one-off project? Also how and when do you introduce the idea to your client? I'm not sure whether to put it on the table during the proposal stage (when I know it would be the most valuable investment for them) or after we've worked together and built up some trust. Now I understand why Christiana's feeling some awkwardness here. This is one area where your desires and those of your client are potentially in conflict. What does the client want here? First and foremost, they want to control their risk. Ideally they're like to hire the best freelancer in the world for a (low) fixed fee, then get as much work as possible for that initial investment. They do NOT want to get sucked into a never-ending engagement that bleeds them and their business dry. Your dream is their nightmare. Your nightmare is their dream. So an important key to landing a retainer deal is eliminating the risk by proving that you're earning them more than you're costing them. First of all, don't go for the retainer right away. Instead make that first engagement something small and finite. Once you're “in” with the client you have a huge advantage, because you're privy to the inside of their business, their goals and frustrations, etc. As you're working with the client on the initial project, start taking note of all the other things you can do to serve them that will have an immediate benefit. Preferably things that will make them more money right away. Also look for ongoing needs that they're treating as one-off expenses. If you're a designer, they might need a blog post graphic created every week, for example, and they're paying someone else $50 a pop. You can probably put together a list of 20-30 items easily if you pay attention. Then I'd start talking to them about a few of those items, the ones with the highest payoff, and see if you can get them thinking about how it would help their business to get those things fixed. Once you get this buy-in, really all you have to do is agree on terms. I'd give them a choice of paying a much higher per-project fee, or you can bundle several projects together and handle them under a retainer. For clients, the idea of paying a monthly retainer is daunting. Use your insider knowledge to make the retainer option look like a bargain, and they're more likely to jump on it.